Peter Bregman’s 18 Minutes is all about focus. 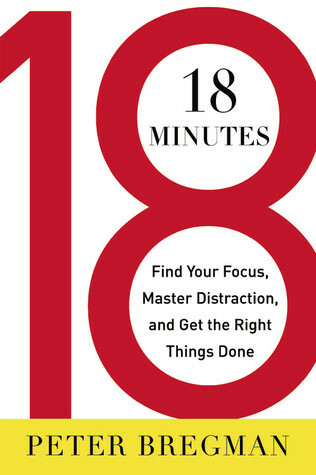 I just finished the Blinkist version of Peter Bregman’s 18 Minutes, which I found to be a great treatment of time management and focus. Everyone struggles with focus these days, and this book helps you navigate through a challenging environment. Make no mistake – your ability to bring a thoughtful, fully aware mindset to a task will make the difference between your success or failure. Most of us take it for granted that when we sit down to complete something, we’ll be able to hammer it out. However, as our jobs become more complex and we gear up to tackle greater challenges, we need help at this basic level to think better. Pausing for five seconds before answering a question or email helps you provide a response that fits in with your priorities and promotes your credibility – a big career booster. In life, prioritize 95 percent of your time towards 5 things you do well, on a personal and professional level. Understand how you can work better with your weaknesses. This book is all about the 18 minute plan – five minutes at the beginning of your day to set your priorities and decide how/when you’ll work on them, one minute each hour to step back and pause to refocus, and five minutes at the end of your day to think about what did and didn’t work over the course of the day. This is classic time management stuff, but will be useful to every reader. I heard someone say once that the Basic Self is the part of the personality that controls emotions, and thus, willingness to do adult things. My Basic Self is about 3 years old, mentally. I cannot reason with it – instead I must cajole, distract, and jolly it along. When that doesn’t work, I stop and give it attention for a bit. Then I can re-engage my drive to finish the task.